As the economy spiraled downward, Americans tightened their belts and secondhand shops made their move onto Main Street. Spencer James, lead writer of the Brigham Young University Study, states that thrift shopping increases when the economy slows, and that middle class families are shopping at thrift stores with the same regularity as lower income families. The study goes on to suggest that while high-income shoppers scour the secondhand market for antiques and unique finds, the average family is just trying to make their dollars stretch. According to NARTS, The National Association of Resale and Thrift Shops, resale continues to be one of the fastest growing sectors of the retail world, boasting over 30,000 thrift, resale and consignment shops. According to a NARTS spokesperson, the number of thrift stores has grown by 7% per year over the past two years with sales climbing 12% a year. Thirty years ago, when I first dabbled in the thrift game, it wasn\’t chic. I would duck around a corner if I spotted someone I knew as I viewed the endeavor to be quite seedy. But, times have changed. And, we who love thrift have watched the nation embrace the resale movement. So, put on your shopping shoes and check out these trendy, cheap venues that range from dicey to the divine. Garage Sale season kicks into high gear with the approach of spring. On any given weekend, garish signs point shoppers toward scores of promising moving sales, subdivision sales, or regional favorites; garage sales, tag sales and yard sales. Although plowing through piles of castoffs might be a lot of work, amazing bargains await those that have mastered the art of finding treasures in the piles of household rejects. Competition is keen in the early hours of a sale when the professionals arrive to compete for the top finds. So take an hour or two to use an Internet mapping system to lay out a strategic plan. The website http://gsalr.com is my favorite online locator that pinpoints sales within cities nationwide, complete with addresses and descriptions of merchandise offered. Adventurers should be prepared for muggy days, restricted hours and haphazard organization. But with a bit of preparation, GPSs and water bottles in hand, those who arrive early are most likely to grab the best deals. Flea Markets range from seriously squelchy to trendy. A bounty of wares, from corroded kitchen items to new eveningwear can be found strewn across tables and stacked in layers at these unpredictably exciting events. An afternoon of poking through rust-filled boxes or the interiors of shabby-chic furniture can be fun and profitable for families who enjoy a jaunt filled with surprises and new-to-you goods. One of my favorite haunts is the Paris Street Market which sports a flurry of veteran vendors selling very chic merchandise. This makeshift market sets up in the parking lot of the Aspen Grove Mall on Santa Fe the second Saturday of the month, May through October. It is a local gem. In my opinion it is one of the best flea markets in the city, offering discerning shoppers an array of antiques, an interesting selection of shabby chic items and new baubles such as jewelry, clothes and accessories. Ah, Thrift Stores. 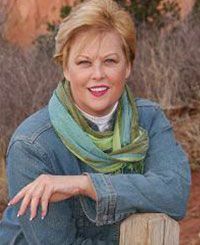 When the winds of winter discourage most fair-weather thrifters, this Colorado gal prepares for a good shopping spree at the local thrift stores. Hours of season-less shopping pleasure hide within the corridors of these efficient businesses offering a profusion of home goods, trendy fashions, regular store hours and hefty sales. Some thrift venues, such as Goodwill, are now developing “boutique” stores that will exclusively carry designer and high-end décor. My fondness for thrift stores, especially during the winter months, is that they are open year-around, offer organized displays, regular store hours and frequent sales. Imagine the savings when buying resale on sale! Estate Sales are designed to sell the contents of a family\’s estate held within the inhabitant\’s home for a two to four day period. Whether a modest abode or a palatial residence, these affairs offer a wealth of merchandise tagged by professional resellers hired by the occupant\’s family. These experts appraise inventory with a keen eye and set prices accordingly, and typically consider offers on the last day of the sale. These events are efficiently advertised and well attended, so shop on the first day to get the best merchandise and the last day for the deals … when bantering and bargaining is expected. 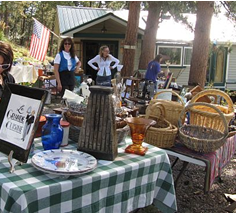 There are twelve chief estate sale companies that hold events in the greater Denver area. A weekly list of their proceedings, addresses and pictures can be found by going to http://www.estatesales.net. Consignment Stores operate on agreements that pair the selling efforts of a store owner (consignee) with the merchandise offered by a seller (consignor). The agent is responsible for displaying and selling the goods for the persons owning items they wish to sell. Once a sale is made, a portion of the proceeds is paid to the consignor. These upscale shops range from pleasant to opulent and offer an array of beautifully merchandised fashions or household décor perfect for the discerning secondhand shopper. I have yet to locate a national website that effectively registers all the shops in a given area, but I find many unique listings come up when I Google, Where are the best consignment shops in Denver? Trendy Antique Stores and Mini-Malls blanket our nation. Some of my most beloved crystal and decorative boxes come from the halls of these collective establishments, and are, without dispute, the sanctuary for antique, vintage and retro finds. But shoppers beware; merchandise varies greatly. One store may boast a profusion of dusty kegs, like and tarnished vintage wares while another unfolds rooms of fabulous European treasures displayed against rich tapestries. 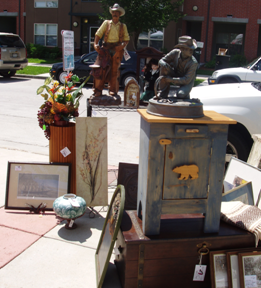 Jenny\’s Junk Emporium at 6625 W Mississippi Ave, in Lakewood, Colorado boasts both. A potpourri of finds enthralls the most discerning shopper displaying items from trendy home décor to mechanical antiques and collectibles such as model steam engines, model trains, typewriters and sewing machines. Auctions can be intimidating… at least, for first-time adventurers. These fast-moving events boast a broad range of experiences, from the sale of farm and livestock to the primly proper atmosphere of a Christie\’s Auction House. Typically, a fee is paid giving buyers the right to bid on the items put on the auction block. A viewing of the inventory is frequently offered the day before the sale; however, the order in which items are put up varies from auction to auction. Patience is required at these events as it may be hours before a wanted item is up for bid. However, at the end of the day, when the throngs have fled, amazing bargains can be realized for those who have lingered until the bitter-sweet finish. One of the most prolific auction houses in the greater Denver area is Corbett\’s Auction House, Estate Sales & Liquidation located at 4921 S Santa Fe Dr, Littleton, CO 80120 offer their customers a full-service solutions liquidation, estate sale and auction needs.